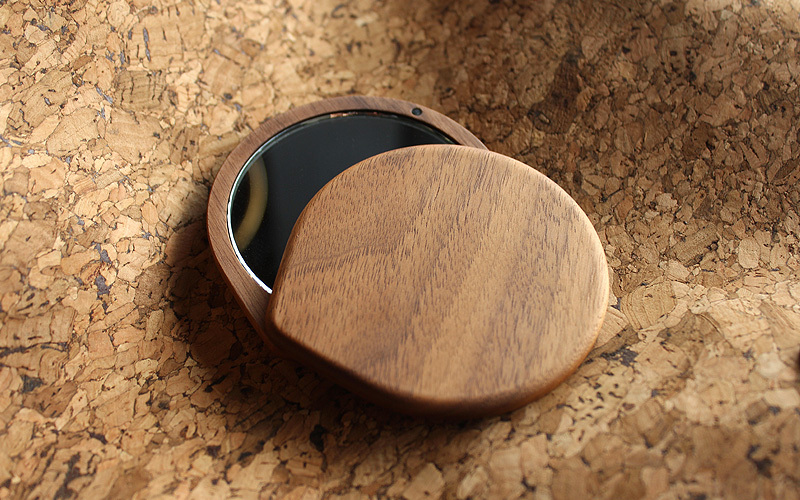 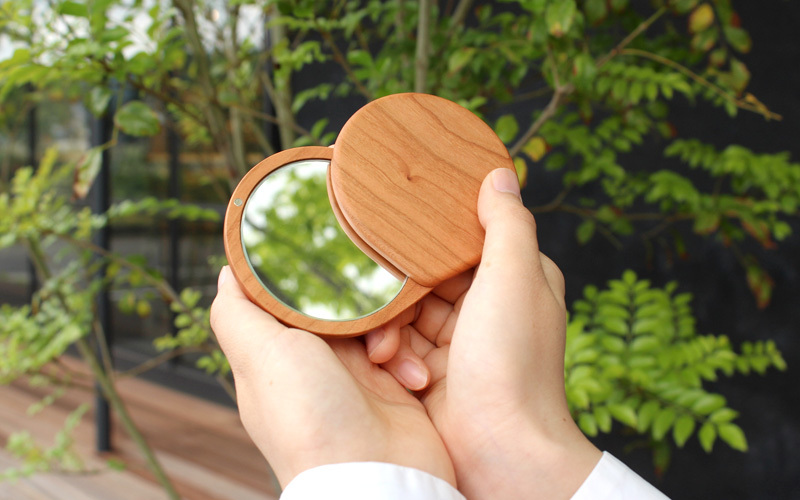 This pocket mirror is protected by the wooden exterior which polished by the hand of craftsman. 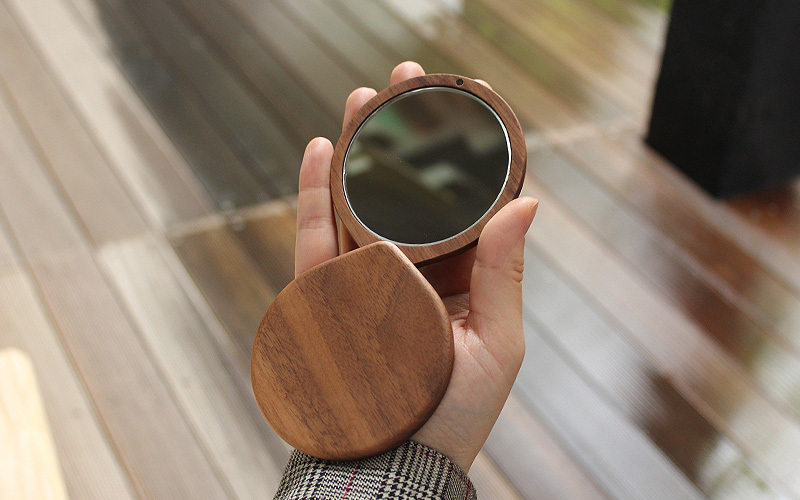 You can't hold it without realizing comforting texture of the natural material. 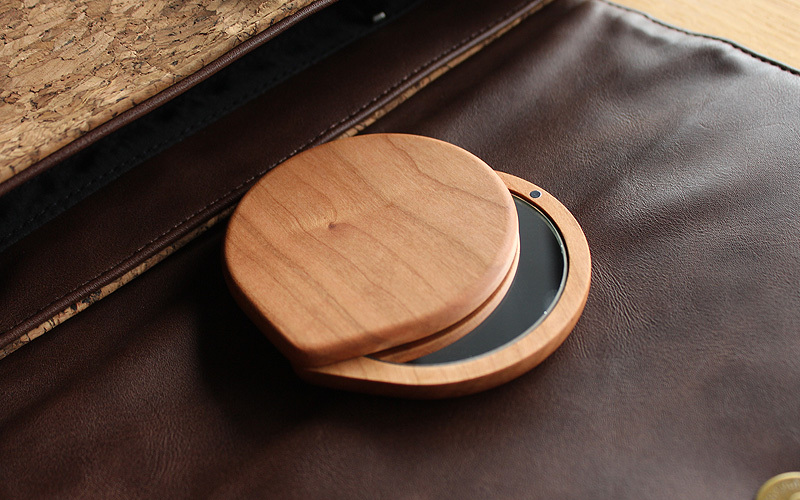 You will notice the rich texture and luster developed by carrying around with you daily.